For many, the place inside ourselves where nothing is impossible feels hard to access when busy with daily responsibilities. It can seem like that place disappeared (if we ever knew it in the first place). And then, we forget to dream. We forget to believe in ourselves. We forget to FIND that place of wisdom that KNOWS we can do incredible things, even “impossible” things. Let’s remember… nothing is impossible. And this isn’t about luck, or starting young, being brilliant, or having the ability to work harder and sleep less, it has to do with mindset. Your mindset can either be confident that you’re limited or confident that you’re limitless. And, as the saying goes, whether you believe you can or believe you can’t — you’re right. I write about this in the main article, “From 'impossible’ to I’M POSSIBLE.” I was SO inspired by rock climber, Tommy Caldwell, and how he disbelieved the limitations that others where throwing at him. 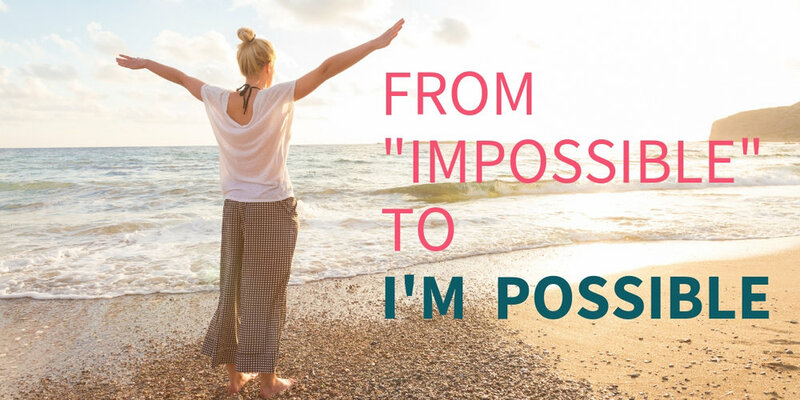 I hope that this issue of Ease Magazine helps you remember that nothing is impossible for you. Find that space within you that knows this and remind yourself of it every single day.